The General Secretariat of the Organization of Islamic Conference condemned the aggression of the Israeli military aircraft on the city of Port Sudan in eastern Sudan, which left two Sudanese people killed. 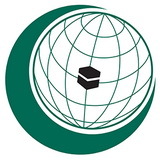 The OIC considered the attack a flagrant challenge to international laws and norms as it violates the sovereignty of the Sudan, an OIC Member State. 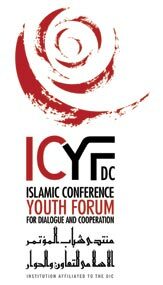 The Secretary General of the Organization of the Islamic Conference (OIC), Professor Ekmeleddin Ihsanoglu, participated in the 2011 US – Islamic World Forum organized by the Saban Center of the Brookings Institute in Washington D.C. on Tuesday, 12 April 2011. He discussed the need to boost mutual relationships between the Muslim world and the United States, and stated that President Barrack Obama's speech which he delivered in Cairo in June 2009 was a landmark address wherein he reached out to the Muslim world seeking a new beginning for a relationship based on mutual interest and mutual respect. However, he also emphasized on the need to have mutual understanding which is a necessary condition to achieve the desired objective. The Secretary General of the Organization of the Islamic Conference (OIC), Prof Ekmeleddin Ihsanoglu welcomed the end of the political crisis in Cote d’Ivoire following the surrender of former President Laurent Gbagbo. He expressed the hope that this would help in restoring durable peace and stability in Cote d’Ivoire and ending the humanitarian crisis in this country. Ihsanoglu called upon the people of Cote d’Ivoire to resort to peaceful means to resolve their differences in the interest of their country. Secretary General of the Organization of the Islamic Conference (OIC) Prof Ekmeleddin Ihsanoglu met the United States President Barack Obama at the White House today. The meeting was preceeded by a meeting with Mr. Denis Mcdonough, Deputy National Security Advisor.